Delores Mae Tandy, 86, passed away on February 13, 2019 at 3:05 am at Shady Nook Nursing Home in Lawrenceburg, Indiana. She was born March 26, 1932 in Wrights Corner, IN, only child of the late Ervin Fillenwarth and Nora (Kaiser) Fillenwarth. She was raised on a farm in Wrights Corner, attended the Wrights Corner Grade School and was a 1950 graduate of Aurora High School. She married her high school sweetheart, Jack Donald Tandy on November 8, 1952 and this union was blessed with three daughters, Cindy, Terry and Kathy. Jack and Delores shared over 66 loving years of marriage until her death. After high school Delores worked at Stegerwald Electrical Company as an office manager, then she was the Aurora School Corporation secretary until 1954 when she and Jack entered into business opening Tandy's Fashion Bar, a ladies clothing store. They continued to grow opening a store in Dillsboro and Brookville, and eventually combining into one store selling men's, women's and children's merchandise. They opened Tandy's Apparel on August 22, 1969. 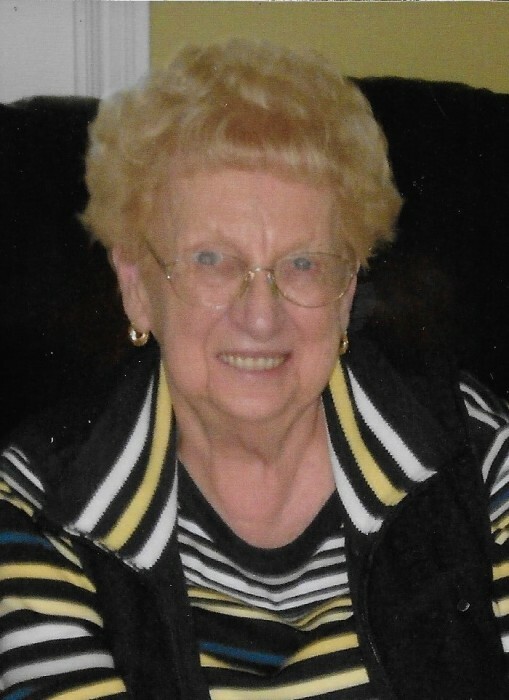 Delores taught Sunday School at St. John Lutheran Church Bellaire, attended the Emanuel Lutheran Church in Greendale, was a former member of Tri Kappa and was a Girl Scout Leader for all three girls. She enjoyed being involved with all of the kids activities with school. Delores liked to quilt and shop. She was an animal lover, especially dogs, and cats. Her greatest joy was spending time with her family, and she will be greatly missed. Delores is survived by her loving husband Jack Donald Tandy, Aurora, IN., three daughters, Cindy (John) Raab of Waynesville, OH., Terry (Brian) Strautman of Liberty Township, OH., and Kathy Tandy (Jim Schneider) of Lawrenceburg, IN. ; grandchildren, Stephanie (Daniel) Moreno, Chicago, IL., Kristin (Zachary) Richmond, Monroe, OH., Matthew Strautman, Chicago, IL., Candice (Ryan) Harrison, Morrow, OH., Andrew Strautman, Chicago, IL., and Nick Strautman, Cincinnati, OH. ; great-grandchildren, Kaleo, Reece and Mikhail Richmond and Paige and Emily Harrison. Friends will be received Saturday, February 16, 2019 from 11:00 am to 2:00 pm at the Emanuel Lutheran Church, 570 Sheldon Street, Greendale, Indiana. Services will be held at 2:00 pm at the church with Pastor Barry Riehle officiating. Contributions may be made to the Emanuel Lutheran Church, Stray Animal Adoption Program (SAAP) or the Masonic Lodge #51 Parking Lot. If unable to attend services, please call the funeral home office at (812) 926-1450 and we will notify the family of your donation with a card.